Route map: just 5 km from warangal railway station. Location: Urus jageer, Warangal, Andhra pradesh. ​History: Hazrat Syed Mashooq-e-rabbani Rahmatullalaih is from 11th direct descendant of huzoor sayyadina ghousul aazam dastageer rahmatullalaih. There was great share of work which belongs to Shaikh Abdul Quadir Jilani R.A for the propagation and preaching of Islam and for this purpose he had sent his followers in all directions of the world and after him his descendents also followed his way and they had also left their birth places to the foreign lands for the spreading Islam there. Hazrat Mashooq Rabbani R.A. is one among the seven sons who had left Baghdad many centuries ago for India for the propagation of Islam and he was great successful there and he had got great position in India especially in the South of India. Due to the presence of the above seven famous personalities from of the Quaderia chain in India the Islamic propagation work was most successful and had reached at a great level of popularity there as they did their great efforts and endeavors for the propagation of Islam and so for this reason they are called the seven stars. His name and descendent details are mentioned as follows . His name is Hammad and his Alqab (epithets) are Jalal uddin and Jamal Al-Bahar but his great fame and popularity is attached with his Qitab (title) of Mashooq Rabbani (The lover of Allah). Hazrat Mashooq Rabbani is from 11th direct descendent of Shaikh Abdul Quadir Jilani R.A. His ancestral and lineage details are as follows. Syed Shah Jalal uddin Hammad R.A.
Syed Hasan Abdul Quadir R.A.
Syed Shah Hyder Hilal uddin R.A.
Syed Shah Emad uddin Abi Saleh R.A.
Syed Shah Tajuddin Abi Baher Abdul Razzaq R.A.
Shaikh Abdul Quader Jilani R.A.
His holy birth took place about five hundred year ago on the 7th Rajab in the year 896 A.H. in the city of Baghdad and at that time the Turkey was province under the Baghdad government and the ruler of Turkey’s name was Saleem. His early education and training was completed under the direct supervision of his father at his house as their house was belongs to great knowledge and wisdom and by the age of 12 years he was completed his education and he was perfect in many knowledges. His mother was also a perfect lady in many knowledges so when she will use to observe any miracle from any of the her sons then she used to say them baby take rest and then at that time the boy will suddenly die at once and in this way many of her sons were died. Till the age of 12 years no miracle was occurred by him and he had completed the education in the knowledge of Zaheri (manifest ) and then his father had awarded him Qirqa (saintly dress ) and Khilafat (spiritual successor-ship ). The reasons for his journey to Harmain (holy Makkah and Madina). Once he was standing in the house building and at that time some ducks and gooses were running towards him so he shook his leg and due to this reason the duck died at once there. The housemaid had reported this miracle to Hazrat Mashooq Rabbani R.A. mother’s and she had given her instructions that she should not disclose this matter to other persons and she had began her preparations to separate him from his father for the above reason. Upon obtaining father’s permission Hazrat Mashooq Rabbani R.A. had left Baghdad along with some disciples and Mutaqadien (followers) and his mother asked him to proceed towards holy Makkah and Madina . He had visited holy Makkah and from there he had proceed to holy Madina and had stayed there for a period of two years. Permission to leave towards Deccan (South of India). When he had reached holy Madina and there he was awarded the Qitab (title) of Mashooq Rabbani (The lover of Allah ) due to the kindness and nobility of holy noble prophet of Allah and he was asked to leave for Deccan (South of India ) for the propagation of Islam there. In the year 916 A.H. or 917 A.H. he had arrived in Warangal along with many of disciples and darwesh (mystic) persons during the period of king Quli Qutub Shah who was the ruler of Golconda dynasty. There were seventy or eighty elephants with him which were also reached in Warangal and on them the luggage of followers and darwesh (mystic) persons was loaded. At that time the king from Lodi dynasty were ruling on the throne of Delhi. Stay at Somawarm village . Upon his arrival in Warangal he had proceed directly towards Somawaram village which is 16 miles away in the southern side from the city of Warangal and where he had stayed there for a period of 12 years on the hill side and he was busy there in the standing position in the meditation of Anwar Haq (the lights of Allah ) . After the above stay he was proceeded for his stay in Qaizpura village which is five miles away from Warangal. As per the reference from the book Miskawat Nabiya in which it was quoted reference from the another book Anwar Aqbar that Hazrat Mashooq Rabbani R.A. after his arrival from Baghdad to Deccan (South of India ) and he had began his worship on the mountain in Hanmakonda village . Where there was a Hindu Jogi who was very powerful there in the worship of the idols and he was used to commit many harmful acts to the others. Due to his ill will the Jogi had thrown a big stone on the sheikh but due to the grace of Allah he had stopped the big stone with his finger and his finger impression is still available on the stone and that place is named as Chilla and that stone is also preserved even today. When the visitors used to see that stone will feel a sense great peace and satisfaction in this matter. After this miracle he was get down from the hill and had proceed towards Qazipura village and went towards the tomb of Qazi Ziauddin and had asked his permission to stay there and upon approval of the permission he had stayed there and he had pointed his final resting place by fixing his staff on the ground which is 150 yards away from that place. Qazi Ziauddin had proceed with the armies of Delhi king Mohammed Tughlaq for the expedition of Warangal and was died in the war and for this reason that village is known as Qazipura village but due to several Urus (annual celebration of death anniversaries ) of Hazrat Mashooq Rabbani R.A. the village became very famous as Urus Jagir village . As per the reference from the history book of Qila (Fort ) Warangal the sheikh was married in the year 925 A.H. and there were two wives of him and from them he had three sons and one daughter and from them two sons and one daughter were died in the early ages because of their miracles. The three graves of them are available on the left side of the tomb of Hazrat Mashooq Rabbani R.A.. Only one son Hazrat Ghouse Moinuddin of Hazrat Mashooq Rabbani R.A. was survived and from him the linage is being continued and blessed by Allah for the preaching and propagation of Islam in the region. The author of the book Mishkawat Nibwa had mentioned that Sheikh was a man of miracles and Kashaf (Revelations). He did many miracles and for this reason it is very difficult and tough task to cover all of them. Regarding the great miracle of Hazrat Mashooq Rabbani. R.A. The Ranga Samudram which is a large water tank located on the western side of the Urus Jagir village and which was presented to the Sheikh by a local ruler when the Shaikh had shown him his great miracle by given life to the dead horse due to grace and kindness of Allah. Some more details of this miracle is mentioned as follows. Once the local ruler had presented him a costly horse for the use of the Sheikh and that horse was slaughtered by the order of the Sheikh to feed the disciples and darwesh (mystic) persons of the shrine who had faced severe starvation at that time . Upon reaching this news the local ruler had become very upset in this matter so he had asked the Sheikh to return back his costly horse and he was insisted and had forced him for this reason so the Sheikh had ordered the darwesh persons to collect the bones of the horse and upon the collection of the bones the Shaikh had looked at them and told Qum Bizin Allah (Rise by the grace of Allah) and then the horse become alive at once due to kind grace and mercy of Allah. Due to his great miracle the local ruler was regretted in this matter and touched the foot of the Sheikh with great respect and honour and granted him the large water tank of Ranga Samudram. There was much share of works which belongs to Sheikh Abdul Quadir Jilani R.A for the propagation and preaching work of Islam and for this purpose he has sent so many of his followers in all directions of the world and after him his descendants also followed his policy and they also left their native places to the foreign lands for the spreading of Islam by preaching and propagation work of Islamic religion . Hazrat Mashooq Rabbani is one among the seven sons who has left Baghdad many centuries ago for India for the preaching and propagation work of Islam and he was successful there and he has got a great position in India especially in the Deccan (South India). Due to the presence of seven famous personalities from the chain of Quaderia order and there was much tremendous success and great work was done for the preaching and propagation work of Islam in the foreign lands so for this reason they are called the seven stars. 1.Abdul Razzaq Hamad Syed Jalauddin Jamal al-Baher Mashooq Rabbani. Syed Shah Abdul Quader Quaderi. Syed Shab uddin Jalwa Ahmed Quaderi. Syed Shah Haider Hilal uddin Quaderi. Syed Shah Emad uddin Quaderi. Syed Abu Baker Tajuddin Syed Abdul Razzaq Quaderi. 10.Sheikh Abdul Quader Jilani R.A.
11.Syed Abu Said Mubarak Maqzumi. Syed Sheikh Sharaf uddin Abul Hasan Ali ibn Mohamed Quraishi Hankari. Shaikh Abul Fazal Abdullah al-Wahed Tamimi. Sheikh Aba Baker Abdullah Shibli. Syed Abul Qasim Junaid Baghdadi. Syed Imam Mosa Ali Reza. Syedna Ali bin Abu Talib. Hazrat Syedana Mohammed Mustafa (peace be upon him). His name is well known and famous as Hammad and his Alqab ( epithets ) are well known and famous as Jalal uddin and Jamal Al- Bahr but his great fame and popularity are attached with his Qitab (title) of Mashooq Rabbani (The lover of Allah). Hazrat Mashooq Rabbani belongs to 11th direct descendent of Sheikh Abdul Quadir Jilani R.A of Baghdadi. Genealogy tracing back to Hadrat Sheikh Abdul Quader Jilani. 1.Syed Shah Jalal uddin Hammad . 6.Syed Shah Hyder Hilal uddin. 10.Syed Shah Tajuddin Abi Baher Abdul Razzaq. 11.Sheikh Abdul Quader Jilani . His blessed birth took place about five hundred years ago on the 7th Ra’jab in the year 896 A.H. in Baghdad city and at that time Turkey was province under the Baghdad government and the name of the ruler’s of Turkey is Saleem. His early education and training have completed under the direct supervision of his father at his house as their house belongs to great knowledge and wisdom and by the age of 12 years he has completed his education and he was becoming perfect in many knowledges. He was memorized the Quran under the supervision of his mother who was also a perfect lady in many knowledges. So when she will used to observe any miracle from any of the her sons so she will used to say them “Baby take rest” and then at that time the boy will suddenly die at once and in this way many of her sons were dead. Till the age of 12 years there was no miracle was occurred by him and he has completed the education in the knowledge of zaheri (manifest ) and then his father has granted him saintly dress (circa) and Khilafat (spiritual successorship) and in this way he was become caliph of his father. At that time city of Baghdad was the center of knowledge and arts and its population was too much while comparing with the other cities of the world and for this reason it was called as bride of the cities. His father used to keep himself with him in his zikr (remembrance) and recital and practice circles and which was enabled him for his improvement and progress of his (batitni) innermost knowledge .Upon the completion of knowledge of manifest (zaheri) he was started learning the knowledge of batani (innermost) and he has become perfect in the short period of time. When his father will observe any miracle from any of the his sons then he used to tell them “Baby takes rest” and then at that time the boy will suddenly die at once and in this way many of his sons were dead. His father’s name is Syed Hasan Abdul Quader Thani who was perfect learned person and scholar and for this reason large numbers of persons used to come to see him and were become his disciples and they will also used to become perfect in knowledges and will become scholars. He has spent his life on the trust on Allah (mutakwil) and there were large numbers of his disciples and devotees. Whatever he gets by the grace and kindness of Allah so he will use to accept the same. Once he was standing in the house building and at that time some ducks and geese were running towards him so he moved his leg and due to this reason one duck was died there suddenly. The housemaid reported this miracle to the mother of Hazrat Mashooq Rabbani R.A. She was given her instructions that she should not disclose this matter to any other persons and she has begun her preparations to separate him from his father and for the above reason she obtained permission from the father of Hazrat Mashooq Rabbani R.A. He was obtained saintly dress and made a pledge (Bay’ah) to his father and left the Baghdad city along with some disciples and followers ( mutaqadien) and his mother was asked him to proceed direct towards holy cities of Makkah and Madina. Upon obtaining his parent’s permission in the year 912 Hijri. He was proceeded for his journey towards Madina city and at that time when he was sixteen years old. He was visited Makkah and from there he was reached to Madina city and he has stayed there for a period of two years. Along with some disciples and followers (mutaqadien) he has covered the journey towards Madina city by day and night travel and was reached towards Madina city. He has stayed in the mosque in Madina city. He was used to visit the prophet’s mosque in the morning and evening time to present his salam (salutation) there and some time he was used to busy there in meditation (maraqaba). He was busy in Madina city in the following schedule. 1.Meeting with sufi persons.2.Meeting with mashaiq (learned persons) and sheikhs (saints).3.Attend the teaching circles.4.Worship. He was resided in Madina city for a period of two years. During his stay in Madina city he visited Makkah city two times along with his some disciples and followers ( mutaqadien) and was performed the Hajj and came back from there to Madina city. Once he was proceeding towards Makkah city along with some disciples and followers (mutaqadien) and during the journey due to no water availability the caravan persons were faced lot of problems and for this reason all persons were requested his help in this matter. So the Sheikh was asked to remove the silts from one place. So upon removing the silts they found a spring in which clean water was available there. Upon fulfilling thirst and filling the miskhs (small water skins) the caravan was started again for their journey towards Makkah city. During the above journey one night there was too much darkness and there was no arrangement of lamps with the caravan. So the Sheikh told them to put water in the small vessels and put the cloth wicks in them and lit them and upon this the wicks were lightened like the torches (mashael). During this journey one person’s camel was dead on the way and its owner was poor person and he was depended on the camel only. So with his great grief he was requested the Sheikh’s help in this matter and due to the Sheikh’s prayer the camel has become alive. During this journey son of Hazrat Shah Kamal Darwesh was dead suddenly so Shah Sahib has explained the details to the Sheikh in this matter and he was requested the sheikh for his help so he prayed in this matter and the boy has become alive due to kindness and grace of Allah. One day he was present in the mausoleum of holy prophet after the morning prayer and for longtime he was busy in the meditation (maraqaba) there and returned back to his mosque where he was residing. And in the same night he was come to the mausoleum in the late night time and requested the servants to open the lock of the mosque of the prophet but they were refused to open the door of the mausoleum against the rules and regulations in the late night hours. So the Shaikh told them that he was asked to be present in the mosque so they should open the door. They have told him that they were not able to open the door. So then if he wants he should open the door himself and get into the mausoleum. So the sheikh called “ Ya Jaddi, Ya Jaddi (Oh: grandfather, Oh : grandfather) so the door was opened automatically and there was came a reply from the mausoleum “ Ya Waladi, Ya Waladi” (Oh : my son, Oh : my son). So he opened the door and he was entered into the mausoleum and he was there up to morning time in khilawat (sitting in solitude) and after morning prayer he was coming back to his mosque and he was granted saintly dresses and was taking a pledge (bay’ah) from his disciples and followers ( mutaqadien) and was given the caliphate to the following persons.1.Hasan Bin Ahmed. 2.Shaikh Kamal Darwesh. He was informed all his disciples and followers ( mutaqadien) that from Samadiat ( from Allah) he was granted title ‘Mashooq Rabbani’ (the lover of Allah). So When he was reached Madina and there he was granted the title (qitab) of Mashooq Rabbani ( the lover of Allah ) due to the kindness and nobility of Allah’s last prophet and he was asked to proceed visit Deccan (South India ) for the preaching and propagation work of Islam in that foreign land .So asked the disciples and followers to start preparation of the journey. So Shaikh Kamal Darwesh was started the preparations of the journey and Hasan bin Ahmed was left there and who was famous for his miracles and revelations and his grave is available in Madina city. Journey of Deccan (South India). The next day after the above event he was started in his journey towards the Deccan area. In the year 916 Hijri Or 917 Hijri. He was reached in the Warangal city along with many of the disciples and Darwesh persons during the period of Sultan Quli Qutub Shah who was the ruler of the Golconda kingdom at that time. During his long journey there were many miracles and revelations were happening and for this reason many persons accepted the religion of Islam and they were becoming his disciples and devotees and many hundred following persons are included among them.1.Holy persons.2.Ahle Allah (saints). 3.Majzoob (one lost in divine meditation). There were seventy or eighty elephants with him and they were also reached Warangal and on them the luggage of followers and Darwesh persons was loaded. During his journey in India due to his miracles the landlords used to offer him elephants with chains due to their devotion. During his journey from Madina city to India by ship there was strong as well as heavy storm so the ship was in great danger condition so all passengers were disappointed from their lives and were requested the Sheikh to pray in this matter . Upon his prayer the storm was stopped and the ship was reached safely to the seaport. When he was near the Deccan area one landlord came to visit him upon hearing his miracles and favours and was brought his blind son before the Sheikh and was requested him for his prayer in this matter. So the Sheikh has prayed in this matter and put his palm on the blind boy’s face and the boy was recovered his sight immediately and due to this miracle the whole family members of the landlord were accepted the religion of Islam. During this journey there was heavy rainfall and the Sheikh and his devotees were far away from populated (Abadi) area so the Sheikh asked them to mark on the earth around them so they did the same. For this reason there was heavy rainfall around them but the caravan of holy persons was not suffered by the heavy rainfall in the line marked area of the ground. During the journey there was a river so it was very difficult to cross it. So the sheikh was entered into the river on his horse and for this reason the river was stopped immediately and there became a way for all of them so the caravan persons were passed the river safely and they also proceed further by walking on the water due to the Sheikh’s miracle. When the local landlord came to know the above details of the Sheikh’s miracle he was become Muslim and offered him many gifts and presents. At that time the Lodi king was ruling on the throne of Delhi kingdom. Stay in Somawarm village . First he was arrived in Warangal city and from there he was proceeded directly towards Somawaram village which is 16 miles away on the southern side from the city of Warangal and where he was staying there for a period of 12 years on the hillside and he was busy there in the standing position in the meditation of Anwar Haq (the lights of Allah). When he came to Somaram village one blind weaver person visited him upon knowing his miracles and was requested him for his prayer in this matter so he put his palm on his face and due to this reason he was recovering his sight and due to this event many thousand local people accepted the religion of Islam. For the above conditions he could not dare to disturb the Sheikh and was returned back from there to his place and was explained the conditions of the Sheikh to the devotees and disciples and so for this reason he was consoled all of them in this matter. After many days his condition of engrossment (Muhevat) was ended and the Sheikh was calling his disciples and devotees and was instructed them to start preparation of the journey to proceed towards the city of Warangal in Deccan (South India) area in India. As per the Sheikh’s instructions when preparations were ready then the Sheikh along with his caravan of disciples and devotees were proceeding towards Urs village and in the olden days it was known as Qazipura village. During this journey when Urs village was 6 miles away then the Sheikh took out away his sandals (nalian) from his foot and proceeded towards bare footed with much care and attention and nobody didn’t dare to ask the reason in this matter. So the Sheikh himself was asked Shah Kamal Darewsh “Baba Kamal come near to me so that I could explain the facts in this matter.” When Shah Kamal went near him so he was asked him to put his head into his armpit and to see and so Shah Kamal was saw many thousand pure souls of martyrs were coming in the large number there and meeting with the Sheikh. So the reason of his bare foot walk of the journey was explained in this way to his disciples and caliph Sheikh Kamal Derwesh. Stay on the mountain of Urs village. From Somaram village he was proceeded for his stay in Qaizpura village which is five miles away from Warangal city. As per reference from the book “Miskawat Nabiya” in which it was quoted reference from the other book “Anwar Aqbar” that Hazrat Mashooq Rabbani R.A. on his arrival in the Urs village from Somawarm village and he was beginning his worship upon the mountain in Hanmakonda village for a period of 12 years. Where there was a Hindu Jogi (worshiper) who was very powerful there in the worship of the idols and he was used to commit many harmful acts and he was used to reside on the mountain which was 4 miles away from Hanmakonda mountain . Due to Sheikh’s arrival the Jogi was very upset and angry and due to his ill will the Jogi (worshiper) thrown a big stone on the forehead of the Sheikh by his magic power and which fell near him without any harm and injury to the Sheikh. At that time he was busy in meditation and the big stone was fall near the forehead of the Sheikh and due to the grace of Allah he was stopped the big stone with his finger and his finger impression is still available on the stone and that place is known as Chilla (mark) and that stone is also preserved even today and that big stone was in hanging position due to the Sheikh’s miracle and afterwards it was supported by stone and soil. When the visitors used to see that stone and will feel a sense of great peace and satisfaction in this matter. After failure of the above bad deed the Jogi (worshiper) has become ashamed in this matter and so for this reason he made a big python by his magic power and was instructed the python to kill the Sheikh but when the big python came near the Sheikh but he was stopped the python by the sign of his first finger so for this reason the python become restless and also become fret and fume and could not move further. When the Sheikh was completed his daily recital and practice and he was marked some lines on the back side of python and those lines were transferred upon the mountain stone and still those marks are available on the mountain stone. Due to the above two great miracles the Jogi (worshiper) was accepted the religion of Islam and till his life he was in the Sheikh’s service and benefited by his great favours and attention and his stone grave is available at the foot side of the Sheikh’s mausoleum. After this miracle he was get down from the hill and was proceeded towards Qazipura (Urs) village and went towards the tomb of Qazi Ziauddin who was martyred during the period of Sultan Tughlaq of Delhi kingdom and upon recitation of Fetha (first verse in the holy Quran) he was asked his permission and for the grant of some land to enable him to stay there and upon grant of permission from Qazi Sahib’s soul he was decided to settle down there. The Qazi Sahib’s soul was told him that his position is like a sun and his position is like a lamp before him. So if he will settle down in this land then the light of the lamp will not be continued in the presence of the sun. The Sheikh was replied him that “ Oh : Qazi this is careful thought that my children will perform the formalities of aoud (aloeswood) and flowers in your shrine area. Afterwards the soul of Qazi Saheb congratulated the Sheikh for the place and for this reason the Sheikh was settled down here. He settled down there by permission of Qazi Sahib and he was pointing his final resting place by fixing his staff on the ground which is 150 yards away from the mausoleum of Qazi Sahib. Qazi Ziauddin was proceeded with the armies of Delhi king Mohammed Bin Tughlaq for the expedition of Warangal kingdom and died in the war and for this reason that village is known as Qazipura village but due to several Urs (death anniversaries) of Hazrat Mashooq Rabbani R.A. This village was becoming very famous and well known Urs Jagir village . When the Sheikh was 30 years old then he was married in the year 926 Hijri. due to Shah Kamal Darwesh and his disciples and devotees were requested him in this matter and they were insisted him for the marriage. As per reference from the history book of “ Qila (fort) Warangal ” that the Sheikh was married in the year 925 Hijri. and there were his two wives and from them three sons and one daughter were born and out of them two sons and one daughter were died in the early ages because of their miracles. And their graves are available on the left side of the mausoleum of Hazrat Mashooq Rabbani R.A.
One day the Sheikh after morning prayer upon completion of daily recital was entered in the residential building and watched there that his two sons were sitting on the wall with sticks in their hands and the wall was moving like a high speed horse so for this reason he was told that in the childhood to disclose the secrets of fakirs are not good. So he asked his sons to pray nafil (supererogatory) prayer after ablution. So as per his instruction they prayed after ablution and they died in the condition of prostration. One day his daughter was combing her hairs so there were falling flowers from right side of her hairs and sparks were falling from the left side of her hairs . Due to the above condition he told her “Baby take rest” and for this reason at that time the girl was dead suddenly at once and in this way many of his children were dead. Only one son Hazrat Ghouse Moinuddin of Hazrat Mashooq Rabbani R.A.was survived and from him the linage is being continued and blessed by Allah for the preaching and propagation work of Islam in the region. He was famous for the following. For the above reasons even big fakirs, saints (sahib dil), pious persons used to pay him great respect and honour. But despite this great position and status of tremendous nature (haibat) and dignity (viqar) he was used to be kind and affectionate and love the children and respect the elders and used to convey salam first to all persons. He was kind and bestowed his favours for the following persons.1.Old persons.2. Poor persons (muhtaj). He was always kind towards fakirs and he will pay them much attention in their meetings. He never visited the house of the rich and wealthy persons. He was used to avoid meeting with rich and wealthy persons. He never returned any beggar without his help. Whatever available he used to give to fakirs. He used to behave all persons politely and smoothly. He never talked with anybody harshly. He was perfect in the following. 1.Halim (tolerant). 2.Burdbar (patient). 3.Saber (patient).4.Shaker (thankful). His condition and status of patience and thankfulness and content was great that despite of three days starvation (faqa) he was never disclosed this matter to others and in such condition also if there will be any presents and offerings were received then he will use to give first preference to needy persons and poor persons and after this if there will be some portion left then he use to eat the same. His height was medium and he had high commanding personality and his body parts were very strong and his color of skin was a mixed of red and white color and his beard was thick. He was used to wear the simple dress which is as follows with patches.1. Shirt.2. Lunge (cloth sheet to cover the lower part of the body).3. Amama (turban). 4. Wooden Nalin (sandals). He was leader of the following persons of his time. He was connected with world of spirituality so he was got position and status of love. He was used to present always in the shrine and always busy morning and evening time in the following circles. 1.Ziker (remembrance of Allah). 2.Shagal (daily recitals). So for the above reasons the devotees and disciples were rich in the wealth of the world and the hereafter (darin). Many thousand non-Muslims were used to visit the Sheik’s shrine from far away places and were used to become Muslims and left cover (infidelity) and its darkness and were entered into the circle of his devotees and disciples. The Sheikh’s first wife was dead in the year 940 Hijri. He married another woman but no children were born from this marriage and she was dead before the Sheikh’s death. The two graves of his wives are situated on the opposite side of the eastern door of the mausoleum and it was made of bricks and lime was used as mortar. Famous disciples. Among his disciples and devotees there were many Ghouse (one who comes to another’s grievance) and Qu’tub (highest cadre in spiritual pivot at axis) and the details are as follows. Some of the above persons were buried in the Urs Jagir village and some others were buried in some other places. Shah Zinda Bhakun Darwesh’s children are still found in the Urs village and his grave is situated outside of the Urs Jagir village on the way to the Alipur village in small mosque which was constructed on the small hill and it was made of stone. The writer of the book ‘Biography of Hazrat Mashooq Rabbani’ Mr. Ghulam Jilani Ahmed Taban’s wife belongs to children of Shah Zinda Bhaken Darwesh. Anecdotes of Hazrath Mashooq Rabbani. The author of the book ‘Mishkawat Nibwa’ mentioned that the Sheikh was a man of miracles and revelations (kashaf). He did many miracles and for this reason it is very difficult and tough task to cover all of them. The Ranga Samudram, which is a very large water tank located on the western side of the Urs Jagir village and which was presented to the Sheikh by a local ruler when he was shown him his great miracle by giving life to the dead horse due to the grace and kindness of Allah. Some more details of this great miracle are available in the list of the Sheikh’s miracles which are available in this magazine. The date of Sheikh’s demise and death anniversary details are mentioned as follows. At the age of 81 years all his body parts were becoming old and not able to function properly and daily weakness and infirmity was started and at last on 16th Ra’jab 977 Hijri. on Thursday, his body temperature has become higher and the condition of agonies of death was started. In the condition of agonies of death the Sheikh was started recitation of Quran and as per tradition he was completed recitation of Quran orally for two times and on 17th Rajab at the time of 9’ o clock in the morning time and by perseverance and magnanimously and with smilingly he has recited Islamic creed (The Islamic creed is the Shahadah, the proclamation (Lā Ilāha Illà-llāh, Muḥammadun Rasūlu-llāh) and he has left this world on 17th Ra’jab 977 Hijri. It was Friday and upon washing the dead body and the shroud covered with the dead body and the funeral were ready. His son Hazat Syed Shah Ghouse Moin Uddin and his successor has prayed the funeral prayer after Friday prayer and by 3.00 ‘o clock so the lamp of the guidance was buried and there was a feeling of sadness and grief in the city due to the heavy loss of the great pious personality of Deccan (South India). In this way burial and funeral rites were completed. As per reference from the book ‘Miskawat Nibya’ his date of death is 22th Rajab in the year 999 Hijri and as per reference from the history book ‘Tariq Qila Warangal’ his date of death is 17th Rajab in the year 977 Hijri. The shrine building and mosque were constructed during the period of the Sheikh and the mausoleum was constructed after his death and it is located in the Urs village of Warangal district and it is 2.5 miles away from the Warangal railway station and it is situated on the road side. But as per the other history records his date of demise is 17th Ra’jab 977 Hijri and the death anniversary usually will commence in the village Urs Jagir on 17th Ra’jab every year. The Urs (the anniversary day) is being performed by the trustees of the shrine every year in the best possible manner for comfort and the best service to the visitors of the shrine. From two places old Gaddi (small fort) and new Gaddi (small fort) the ceremony of sandal is held at the same time. The visitors of the shrine are provided food and benediction on this occasion in the building of one of the Gaddies (small forts) separately. The Sheikh’s children are still available in Urs village. People from various walks of life, irrespective of caste and creed, assemble to celebrate the Urs (death anniversary) which takes place on the 17 day of Ra’jab of Muslim calendar at the famous Hazrat Mashooq Rabbani’s dargah (shrine) in Warangal every year. Several hundred thousand devotees from near and far, irrespective of religion and beliefs, gather there to seek blessings. On every Saturday and Thursday the visitors in large numbers will visit the shrine and pray Allah for the fulfillment of their desires and wishes for the sake of the Sheikh’s name . For the management of old shrine building and for the poor feeding and for the other expenses ,the rulers of Golconda and Asif Jahi Kings ( Hyderabad State) were granted some villages to the trustees of the shrine and who were descendents of the Sheikh . First of all Sultan Quli Qutub Shah of Golconda kingdom in 1095 Hijri was granted Qazipura village to the shrine and the following villages also were given to the trustees by the rulers of Hyderabad State for the management and other expense of the shrine. Farm of Aliabad.2. Alipur village.3. Chotpally village.4. Somaram village and Jamalpur farm. 5. Dobba Kunata and Tinkur Kunta farm. At the time of re-organization of Hyderabad State all the above service Inam (grants) villages which had annual revenue of over Rupees of one hundred thousand were taken back from the trustees by the government and in lieu of the above villages for every three months some small amount of grants was sanctioned by the government to cover the expenses of the shrine management of Urs Jagir village in Warangal district. The above are some of the brief extracts from the book “ Hayat Mahsooq Rabbani R.A.” which were written by Auliya Quadri who was the brother of the former trustees of the shrine but all other details in this magazine are taken from the book ‘Biography of Hazrat Mashooq Rabbani’ by Ghulam Jilani Ahmed Taban . His sayings are as follows which are added to the benefits of the general and other persons in this magazine. 1.The dalil (proof) of Muslim person is that he should be patient with the problem and he should be thankful in the pleasure. 2.One who will be in the worldly success and so he will be entered in the problems and one who will be away from it then he will be successful. 3.The world and its pleasure and happiness are not permanent so for this reason one should not be proud for the pleasure and happiness of the world. 4.One who will like the world then he will be away from the truth. 5.And it is like an evil thing. 6.The world is a place of the trials . 7.That deed is good from which Allah will be happy. 8.To pass from polytheism is called Touhid (unity of God). 9.They think of being two in Sufi’s heart will be termed as polytheism. 10.Eman (faith) is protected by the fear and hope. 11.To keep away from the bad company because it will effect soon. 12.That man is good who thinks that all persons are good. 13.Everything of Kamal (excellence) will face its downfall. 14.Anger and Eman (faith) are opposite of the each other. 15.Do not commit the backbiting of any body. 16.Unless there is no control on nafas ammara (inordinate appetites) there will be danger in the human life. 17.That man is called Sufi one who will have his zaher (manifest) and batin (innermost) in the same condition. 18.Knowledge without action is useless and no benefit at all. 19.To respect the learned persons and to be kept away from the ignorant persons. 20.Always keep the fear of Allah in the heart. 21.Never speak lies in under any circumstances. 22.Never swear because azamat (greatness) will be removed from the heart. 23.Always pay respect to the elders and be kind to the younger ones. 24.Obedience of the parents is the cause of the success and good results. 25.Behave well with all persons with the good manners. 26.Halam (tolerant) and burdbari (patience) are like the human jewellery. 27.There is respect of man with the knowledge and there is respect of the knowledge with the wealth. 28.To be kept away from the company of the cruel and ignorant persons. 29.The worldly position and status are not permanent. 30.There is a difference of the wisdom and tamiz (manners) among the human beings and animals. To help the needy persons in the best possible manner. 32.The thing which you will not like for yourself so also you will not like the same for the other persons. 33.Due to fasaq (sins) and fajur (immortality) the heart will become dark. 34.Do not delay in performing the obligations. 35.Do not any ask anything from anybody except Allah. 36.That person is good who will benefit all the persons. 37.If anybody will say something about you than you think in this matter whether it is true or false ?. True if it has then been thankful to him in this matter that your defect was known to you and if it is false then ignore it. 38.Do not be careless for the thankfulness of Allah for His blessings and His grace. 39.Saqawat (generosity) is great and the best thing. 40.The best worship is to control the heart. 41.The company of wealthy and rich persons is dangerous and not good at all. 42.Knowledge is wealth and which will not meet its downfall. 43.Always remember your death and never forget it at any time. 44.Ajaz (humility) and sincerity are great perfection and good habits. 45.Ajub(vanity) and pride will put human beings into problems and difficulties. 46.Always earn your bread with the hard work. Qal ba hall it means the theoretical knowledge is useless and no benefit at all. The Sheikh’s miracles are in large numbers and some of them are listed as follows. 1.In his childhood the Sheikh was going to bazaar and on the way there was felt bird’s dropping on him so he looked at the bird and the bird was died at once and fell down on the ground. 2.As per tradition there was one lady servant in the Sheikh’s house and his son was died due to some serious disease and for this reason she was upset and worried in this matter so for this reason the Sheikh caught the dead body and pushed it so for this reason the boy was becoming alive and stood by the grace of Allah. 3.As per tradition one land lord’s daughter was becoming seriously ill so for the reason his father cured her at many places but there was no benefit at all and day by day her health condition was becoming worse and worse and the doctors were unable to cure her disease properly. Somebody was informed the landlord about Sheikh’s favors and miracles so he was brought her daughter to the shrine and he was requested his prayer for the cure of daughter’s recovery from serious illness so Sheikh took some water and put the same on her face and so for this reason she was becoming perfectly healthy by the grace of Allah. Due to this reason the landlord and his family members and many of his relatives were accepted the religion of Islam. 4.There is a tradition that once in his residence there was a scorpion sting for the lady servant and for this reason she was suffering in this matter so Sheikh put his saliva on the place of a scorpion’s sting and the lady servant was become perfectly well. A big landlord of Warangal taluka upon hearing the Sheikh’s favors and miracles was presented his most valuable and pretty costly Arabic horse for the use of Sheikh so he accepted the same and instructed the shrine servants to slaughter the horse and distribute the meat to the poor persons. So as per his instruction the horse meat was distributed among the poor persons .Upon reaching the news of the event, the local ruler was becoming very upset and angry in this matter so he was asked the Sheikh to return back his valuable and pretty horse and he was insisting on this matter and he forced him so for this reason there was a condition of majestic which was appeared upon him and the Sheikh ordered the Darwesh persons to collect the bones of the horse . Upon collection of bones he was looked at them and he was told Qum Bizin Allah ( Rise by the grace of Allah) and then the horse was become alive at once due to kind grace and mercy of Allah. Due to this great miracle the local ruler was regretted in this matter and touched the foot of the Sheikh with great respect and honour and granted him the large water tank of Ranga Samudram which is a half mile away from the mausoleum of Urs villages in the western side. The landlord upon seeing the above great miracle accepted the religion of Islam along with the family members and relatives. That landlord was died upon the demise of the Sheikh and his grave in stone is situated in the shrine area on the eastern side. 6.As per tradition one land lord’s son was suffering from leprosy disease and when he was come to know the details of Sheikh’s fame and name and for this reason he was visited him and requested him in this matter. So he prayed for him in this matter and due to this reason the boy was recovered completely. For this miracle the landlord and his son were become the special servants in the shrine and for this reason they were become famous and well known. As per tradition one year there was no rainfall in one rainy season and the rainy season was near to an end and so for this reason all persons were upset and worried in this matter. So all persons from surrounding areas came and requested the Sheikh for his prayer for the rainfall in this matter. So the Sheikh prayed two Rakats (one set standing genulexion and prostration and in prayers) and raised his hands in the prayer for the rainfall and even the prayer was not completed the clouds were came there and the heavy rainfall was started and in short period of time tanks and ponds were filled and the mankind was freed from the great problem and difficulty and all persons were returned back to their places happily. As per tradition, this event is famous that once in the month of Ramadan some guests were coming into shrine building and the temperature was very hard and severe due to heat of the sun. At the time of 5 ‘o clock one person among the guests was told that it was better to get some ice pieces after Iftar (breaking a fast). Upon hearing this Sheikh look at the sky and immediately the clouds came there and there was fall of ice pieces were started from the sky. So the servants were collected many ice pieces and were served to the guests after Iftar ( breaking of a fast). 9.As per tradition one man was brought to the shrine building who was suffering due to dog bite problem and he was crying at the sound of the dog so the Sheikh told the person that being a human being why he is crying at the sound of the dog .So upon this instruction that person who was suffering from the dog bite was completely recovered and become normal personified and he was entered among the servants of the shrine. As per tradition once the Sheikh was suffering from some problem in the eyes and he was very upset and worried in this matter. So for this reason the servants were brought one eye doctor in the shrine building to cure the eyes of the Sheikh. The doctor was given him some medicine and instructed him that water should not be touched with the eyes and in this matter care should be taken. So the Sheikh asked him how he should perform the ablution and the doctor told him that if the eyes are not dear then he can perform ablution and by saying this the doctor left the shrine building and upon this event Sheikh was performed ablution and performed the prayer and was sleeping and the next day he found his eyes in good condition without any problem. When the doctor came to know this event he was told that this cure is not belongs to human beings but it was done by God. For this reason the doctor and his family members were become Muslim and were included among his famous devotees and disciples of the shrine. The Sheikh’s successors are in large numbers and some of them are listed as follows. 1.Hazrat Syed Shah Ghouse Moinuddin Quaderi. He was the son of Hazrat Mashooq Rabbani and he was born in the year 936 Hijri and he was died in the year 1010 Hijri. He was obtained the caliphate and made a pledge (Bay’ah) to his father. He was famous pious personality of his time. Upon his death some person saw him in the mosque in the condition of prayers and also saw him in the mausoleum of the Hazrat Masooq Rabbani and upon his death the persons were heard the recitation of Quran from his grave. His grave is situated in the eastern side of his father’s mausoleum at a distance of 100 yards. The names of his two sons are as follows. 1.Syed Shah Auliya Quaderi. 2.Syed Shah Abdul Nabi Quaderi. As per reference from the book ‘Tadhkira Auliya Deccan’he was died in the year 1055 Hijri. He was the elder son of Syed Shah Ghouse Moinuddin Quaderi. As per reference from the book ‘Mishkawat Nibya’ that he was born in the year 970 Hijri and he was died on 23RD Rabi Awwal in the year 1058 Hijri. As per the reference from the book ‘ Tariq Warangal’ that he was died in the year 1052 Hijri. He was obtained the caliphate and made a pledge (Bay’ah) to his father. He performed the Hajj seven times and upon the end of the every Hajj he used to visit the mausoleum of the Allah’s last prophet. In the city of Madina he was famous and well known as Wali of Hind (Saint of India). At the time of the visit of mausoleum he was requested the Khaja Saras (emasculate servants) of the mausoleum to allow him to enter into mausoleum but they were refused his request and not allowed him to enter into the mausoleum of Allah’s last holy prophet. So he told them that he is the grandson of the last prophet of Allah so he should be given permission to enter into the mausoleum. So they were told him that they will mark his dress with sandal color and if that mark will be appearing on the mausoleum then he will be allowed to enter there. Once Hazrat went to the Hajj along with his son so for this reason his wife was told him that ‘She will allow her son for the Hajj on one condition that her son will be her Amanat (entrusted thing) with him during the Hajj pilgrimage so he should return back the boy to her upon the performance of the Hajj.’ Upon his return from the Hajj journey his son was died on the way so Hazrat was looking at the sky and prayed as follows. “Oh :Allah you are Malik (God) and Mukhtar (empowered) and this boy belongs to Amatnt (entrusted thing) of my wife so allow me some more time in this matter so that he should be able to hand over the boy to his wife.” The prayer was accepted by Allah and the boy become alive immediately. Hazrat came back to his residence in India and handed over the boy to her wife and he told her three times that “ He was returned back her Amanat (entrusted thing) to her.” And his wife was replied him that “ Yes she was received back her Amant (entrusted thing)” and after this the boy was died immediately there. As per reference from the book ‘Miskawat Nibiya’ that her wife’s tomb was constructed during his life period. At the time of construction of the tomb Abul Hasan Tana Shah and his Sufi Master Syed Shah Raju Hussaini were participated in the construction along with the other Labors. The grave of Sultan Abul Hasan Tana Shah in Khuldabad. Once Hazrat watched that Abul Hasan was carrying the basket of construction materials on his head and so told his son in law Hazrat Shah Raju Hussaini that the basket will become as a royal umbrella for Abul Hasan. Upon hearing this proclamation Shah Raju Hussaini was congratulated Abul Hasan in this matter that he will become the Sultan of Golconda kingdom. So as per his saying Tana Shah was become the Sultan of Golconda Kingdom after many years after the death of Sultan Abdullah Quli Qutub Shah. Hazrat’s daughter Jamal Bi was married with Syed Shah Raju Hussaini and his mausoleum is situated in the outside of Fatah Darwaza and people from various walks of life, irrespective of caste and creed, assemble to celebrate the Urs (death anniversary) which takes place on the 14, 15 and 16th day of Safar of Muslim calendar at the famous Syed Shah Raju Hussaini dargah (shrine) in Hyderabad every year. Several hundred thousand devotees from near and far, irrespective of religion and beliefs, gather there to seek blessings and his genealogy tracing back to Hadrat Khaja Bande Nawaz of Gulberga Sharif. As per the reference from the book ‘Tariq Warangal’ that Sultan Abdullah Quli Qutub Shah had two daughters and among them one daughter who was known as Fatima Sultana was married to Syed Shah Auliya Quaderi and another daughter was married with the Abul Hasan Tana Shah. As per the estate document dated 17th Zil Hajj 1002 Hijri which was granted by Sultan Abdullah Quli Qutub Shah in the name of Fatima Sultana and in the documents of an estate in which it was mentioned as Fatima Sabiya Syed Nazer Ali so it may possibly that Syed Nazer Ali belongs to the royal officer in the Kingdom of Golconda and there was such mistake which was happened by that officer in this matter so his name was also available in this document. He was passed away in Madina city. After his death his clothes and the wooden bed on which his funeral bath was arranged was returned back to the Urs village to his son by the servants of the mausoleum of Allah’s last prophet in Madina city and that the wooden bed is still available in the mausoleum of Fatima Sultana. The Sheikh was famous and well known for his miracles and revelations and his grave is available in Janatal- Baqi (sacred grave yard in Madina city). 3.Syed Shah Abdul Nabi Quaderi. He was the younger son of Syed Shah Ghouse Moinuddin Quaderi and also he was the younger brother of Auliya Quaderi. He was born in the year 972 A.H. and he was died on 6th Ramadan in the year 1060 A.H. and his grave is situated at the back side of his father’s mausoleum on the platform on the western side. He had one son and who was well known and famous as Syed Ghouse Moin uddin Thani. 4.Syed Shah Ghouse Moin uddin Quaderi. His father’s name is Syed Shah Abdul Nabi Quaderi and he was born in the year 1000 A.H. and he was died in the year 1070 A.H. He made a pledge (Bay’ah) to his father and was obtained the caliphate from him. His many miracles are well known and famous. His grave is situated at the left side of his father’s grave on the western side on the same platform. 5.Aif Billah Syed Shah Yad Allah Quaderi. His father’s name is Syed Shah Ghouse Moin uddin Quaderi and he was born in the year 1037 A.H. and died in the year 1105 A.H. and he was famous for the following things.1.Taqwa(piety).2.Taharat (cleanliness). 3.Miracles. As per the reference from the book ‘Mistakwat Nibya’ that he was born as Wali (saint). As per the tradition of his wife that once he was in his room and its door was opened and she was seen that one big tiger was sitting on the bed and for this reason he was upset and worried in this matter and cried in loud noise for her help in this matter from the members of his family. So many members of the family were gathered there and at that time the Sheikh was coming out of the room and he told her wife that he was sleeping in the room so it was looking like a tiger for her so there is no matter of fear in this matter. He was died in Hyderabad in street of Chambeli Ka Mandwa. Afterwards his son was brought away his dead body from there to Urs village and he was buried near the grave of the shrine custodian Syed Shah Quaderi in the shrine area. 6.Syed Shah Abdul Nabi Quaderi Thani. His father’s name is Syed Shah Yad ullah Quaderi and he was born in the year 1070 A.H. and he was died in the year 1135 A.H. and he was famous and well known for the following things. 1.Taqwa (piety).2.Tahrat (cleanliness). He had left no children after him and he was buried in the mausoleum of his ancestors. Syed Shah Hasan Abdul Quader Quaderi. He was the elder son of Syed Shah Auliya Quaderi. He was born in the year 998 A.H. and he was died on 22nd Jamid Thani in the year 1090 A.H. He was also known as Bade Quader Shah . He was obtained the caliphate and made a pledge (Bay’ah) to his father. He was also famous for his favors and miracles. As per reference from the book ‘Miskawat Nibya’ in which it was mentioned this event that in street of Kasarat in Hyderabad one majzub (one lost in divine meditation) was used to reside there and his name was known as Syed Mohammed Hasan and he was used to live in the naked condition always. But when his carriage used to enter into the city of Hyderabad then he used to ask lunge (cloth sheet to cover the lower part of the body) from the persons and used to cover his body. Once one person was asked the reason in this matter. The people were surprised to see his action and requested him what is the reason of covering his body upon arrival of the Sheikh ?.He asked that person to put his head into his armpit and said there should be shame from the human beings and not from the animals. The person who had put his head into his armpit said except the Sheikh he was seen all other persons in the shape of animals. He was too much interested in the ecstasy (Samah) and he was also died in this condition of ecstasy. His grave is situated in the eastern side of the grave of Syed Shah Ghouse Moin Uddin Quaderi at a distance of 20-22 steps on a small platform and there is an electric pole on it. During the rule Sultan Abul Hasan Tana Shah of Golconda Kingdom on 29th Jamad Awwal in the year 1085 A.H. two separate documents of estate deeds were sanctioned for grant of Urs village and Somaram village in the name of Syed Shah Hasan Abdul Quader Quaderi and the above two villages were in the possession of his family members till the re-organization of Jagirs (estates). There was no son of him so he was made his brother’s son Syed Shah Ali Quaderi as his successor and caliph after him. As per reference of the historian of Warangal that he was used to love too much ecstasy and 300 Qawwals (choristers) were used to accompany with him and he was always used to live in the condition of engrossment and he was also died in this condition. He was the younger brother of Auliya Quaderi. He was born in the year 1000 A.H. and he was died in the year 1087 A.H.and his son’s name is Syed Shah Ali Quaderi and his chain of children are still available. He was obtained the caliphate and made a pledge (Bay’ah) to his father. He was perfect in revelation and miracles. His grave is situated in the mausoleum of his ancestors. Hazrat Syed Shah Ali Quaderi. He was the son of Syed Shah Hussain Quaderi. He was born in the year 1045 A.H. and he was died in the year 1136 A.H. Or 1137 A.H. As his paternal uncle Syed Shah Hasan had no son so he nominated him as his successor and caliph during his lifetime. Upon his uncle’s death he was becoming his successor and caliph and continued the teaching and preaching work of Islam in the area and there were great benefits due to his flavors of batini (innermost) to the general and other persons. He was famous and well known for his revelation and miracles. Once he was in need of some money so he asked his son Syed Abdul Razzaq to go and bring whatever money which is available under the Ghalaf (cloth cover) of the mausoleum of Hazrat Mashooq Rabbani. So his son went there as per his father’s instruction and he found the money from there and brought the same amount to his father and the Sheikh was used this money as per his requirement. Once the local ruler has cut and taken away all grass around the Urs village so for this reason the Sheikh was upset and angry in this matter and instructed him not to cut the grass in the village area of Urs but the local ruler was not respected his instruction and cut all the grass and put the same before his animals and upon eating the grass all animals of the local rulers were died immediately. So for this reason the local ruler was upset and worried in this matter and was approached the Sheikh and apologized in this matter so the Sheikh was instructed him not to repeat such acts again and the local ruler left the Sheikh and was reached back his place and was surprised to see that all animals were alive by the great miracle of the Sheikh. As per reference from the history book of ‘Miskwat Nibya’ that the Sheikh once met Nizamul Mulk Asifjah who was King of Hyderabad at that time who was respected him greatly and when he was left Nawab saheb one of his courtier who was member of Kharji (dissenting from Hazrat Ali Bin Taleb) sect told the Nawab that the Sheikh belongs to Shia community member and he was spreading his religion in the Kingdom so for this reason the Nawab Sahib was asked that person to stop his indecent conversation. Anyhow the Sheikh of his time left the Nawab’s palace and when he comes to know the details of this event from some source so he was immediately approached the Nawab sahib’s palace and the Nawab Sahib was asked the Sheikh’s reason of his visit then he told him that he was happy to see him and prayed for his welfare and ask his permission to leave from there so the Nawab sahib was requested him to stay there for some more time so that he will be benefitted in his holy company. So the Sheikh told him that in such meetings where there will be dis-approval of fakirs then there was no need of fakir to stay there. If Allah wills such person will die in very bad condition of trouble and problem. So the Sheikh said the above and was left the Nawab Sahib’s palace. After some time of the Sheikh’s departure that the man suffered heavily due to pain in his stomach and there was a discharge of urine and stool started from his mouth and while crying like a dog he was died immediately in worse condition. In his company famous and well known as well as reliable learned persons and fakirs used to present there. Whatever there will be presents and gifts were received then he will be used to distribute such gifts and presents among poor and needy persons. He used to say that it is necessary for the fakir to distribute whatever he gets from others and he should not keep anything for himself. So for this reason at the time of his death there was nothing available in his house. At the time of his funeral one green unknown horse mounted person came there from the west side and he was standing at the rear side of his grave and read the following Persian couplets and he went away and despite of his hard search he was not found anywhere. The translation of Persian couplets is as follows and in the below picture the couplers can be read in the Persian language. In the first couplet it is mentioned that Syed Ali Shah who was a perfect Saint and as well as an apostle’s preacher was left this world for his heavenly abode of Firdous (paradise). In the 2nd couplet his year of death is mentioned as 1141 A.H. and this year is confirmed at the end of this chapter in which it also mentions his year of death as 1141 A.H. There were many children from him so for this reason he was known and famous as Adam Thani and the names of his four sons are as follows and all of them were belongs to noble parents and their details are as follows. Syed Abdul Quader alias Quader Shah. Syed Hussain Quader alias Peer Bada Shah. Syed Abdul Razzaq Quader alias Razzaq Pasha. His grave is situated in the southern side of shrine mosque and it means it is situated on the western side of the mausoleum of Fatima Sultana and it is situated on the big platform and as per the reference from the book ‘Aulia Deccan’ that he was died on 20th Rajjab in the year 1141 A.H. He was shrine custodian of old Gaddi (small fort). He was the son of Syed Ali Quaderi and he was born in the year 1075 A.H. And he was died on 27th Ramadan in the year 1158 A.H. He was obtained the caliphate and made a pledge (Bay’ah) to his father. He was perfect in revelation and miracles. He was become the caliph of his father upon his father’s death. During his period the shrine custodian service was divided between himself and his step brother Syed Shah Mohi uddin Quaderi. In the year 1122 A.H King of Hyderabad Asif Jah Bahdur was granted the Jagir (estate) of Qazipur villages in their names and sent them the documents in this matter from his secretariat. His grave is situated at foot side of the grave of Syed Shah Ali Quaderi in the shrine area and he had only one son and upon his death his son Syed Shah Jamal Quaderi was become his successor. Syed Shah Mohiuddin Quaderi alias Peer Badasha. He was the shrine custodian of New Gaddy (small fort). He was the son of Syed Shah Ali Quaderi and step brother of Syed Abdul Quader Quaderi. He was born in the year 1080 A.H. and he was died on 22nd Rabil Awwal in the year 1159 A.H. He was perfect in miracles and revelations. The author of book ‘Miskawat Nibya’ was mentioned one reference from book ‘Panj Gung’ by Qazi Mir Mohammed Fazil that once the collector of Warangal Shuker ullah Khan visited him but he was unable to follow rules of respect perfectly and for this reason the sheikh was upset and angry in this matter so for his mistake the collector apologized in this matter but the sheikh was not convinced in this matter. So in the above event he was discharged from his service within the period of three months. The sheikh was buried at the side of his father’s grave on a separate platform in the western side. He was the son of Syed Shah Ali Quaderi and he was the brother of Abdul Quader alias Quader Shah. He was born in the year 1078 A.H. and he was died on 13th Safer in the year 1178 A.H. He was obtained the caliphate and made a pledge (Bay’ah) to his father. His grave is situated at the side of the grave of Syed Abdul Quader Quaderi in the shrine area. He had no sons. His daughter’s name is Kamal Unnia alias Kammu be sahiba and she was married to Syed Hussain Quaderi and she was buried in Udgir and her son’s name is Syed Karim Quaderi and he was inherited the property of his mother and his maternal aunt. The chain of his sons is continued and well known and famous as Haweli (mansion) peoples. The father’s name of Syed Karim Ullah Quaderi is Syed Haider Quaderi and who was resident of Udgir and he belonged to the chain of the sons of Sheikh Abdul Quader Jilani of Baghdad and his genealogy record is as follows. 2.Syed Shah Abdul Razzaq Quaderi. Some other biographical details of Syed Karim Ullah Quaderi are available in the next pages of this magazine. 13.Syed Shah Abdul Razzaq Quaderi. He was the son of Syed Shah Ali Quaderi and the brother of Syed Mohi Uddin Quaderi. He was born in the year 1095 A.H. and he was died on 27th Ziqada in the year 1188 A.H. He was well known and famous for his miracles and revelations. He was fond of hunting. Once he was chasing a tiger and the tiger went inside of the den so he pulled him by holding his tail and so for this reason the tail was uprooted from his body and he was come back from the jungle to his residence happily for this reason. On the day of his death his son asked him that whether he is going for hunting on that day so he was replied him that he will go for hunting at the first part of the daytime as per old standard time .He was died on the same day at the time of the first part of the daytime as per old standard time and he was buried in the mausoleum of his ancestors. His father’s name is Syed Abdul Quader alias Quader shah. He was born in the year 1110 A.H. and he was died in the year 1205 A.H. He was obtained the caliphate and made a pledge (Bay’ah) to his father. Upon his father’s death he was become his successor and the custodian of the shrine. During the rule of Nizam Ali Khan Bahadur of Hyderabad Kingdom in the year 1165 A.H. Urs village and in the year 1166-1193A.H. Samaram village was sanctioned in his name as the estate of the shrine and documents were issued in this matter. He was buried in the mausoleum of his ancestors. 15.Syed Hasan Abdul Quader Quaderi alias Quader Shah. He was the son of Syed Jamal Quaderi. He was born in the year 1140 A.H. and he was died in the year 1215 A.H. He was obtained the caliphate and made a pledge (Bay’ah) to his father. The rulers of Hyderabad government were sanctioned documents of the Urs village in his name in the year 1211 A.H. His grave is situated on the platform in between the mausoleum of Syed Ghouse Moin uddin Quaderi and the grave of Syed Quader Shah Quaderi. He was the son of Shah Hasan Abdul Quader Quaderi and he was born in the year 1100 A.H. and he was died in the year 1225 A.H. Upon his father’s death he was become the successor of his father and the shrine custodian. On 19th Shaban in the year 1219 A.H. The Asif Jahi rulers of Hyderabad kingdom had granted document of the following villages in the name of Syed Jamal Quaderi and Syed Shah Ali Quaderi. He was buried on the platform on which his father’s grave is situated. 17.Syed Shah Wali Allah Quaderi. He was the son of Syed Shah Ali Quaderi. He was obtained the caliphate and made a pledge (Bay’ah) to his father. He was become the successor of his father and custodian of the shrine. He was died in the year 1285 A.H. He was buried on the platform on which his ancestor’s graves are situated in the southern side. He was the son of Syed Shah Wali Allah Quaderi and the brother of Syed Shah Ali Quaderi. He was born in the year 1268 A.H. and he was died on 16th Rabil Awwal in the year 1338 A.H. on Wednesday. His grave is situated on the upper side of the grave of his brother Syed Shah Ali Quaderi on the platform. 20.Syed Shah Wali Allah Quaderi. He was the son of Syed Shah Ali Quaderi and he was born in the year 1296 A.H. and was died on 30th Zil Hajj in the year 1331 A.H. He made a pledge (Bay’ah) to Syed Shah Hasan Quaderi. Upon his father’s death he was become his successor and custodian of the shrine. His grave is situated on the upper side of the grave of Syed Shah Ali Quaderi and at the side of the grave of Syed Quader Shah Quaderi. He was the son of Syed Shah Mohi uddin Quaderi and his grandfather’s name is Syed Shah Ali Quaderi. He was born in the year 1110 A.H. and he was died in the year 1195 A.H. He was obtained the caliphate and made a pledge (Bay’ah) to his father. Upon his father’s death he was become his successor and custodian of the shrine . His grave is situated on the platform on the southern side of Shahi road. He was the son of Syed Ali Quaderi. He was born in the year 1135 A.H. and he was died in the year 1210 A.H. He was obtained the caliphate and made a pledge (Bay’ah) to his father. Upon his father’s death he was become his successor and custodian of the shrine . Syed Shah Hidayat Ali Quaderi. He was the son of Syed Jamal Quaderi. He was born in the year 1170 A.H. and he was died in the year 1260 A.H. Upon his father’s death he was become his successor and custodian of the shrine . He was buried in the mausoleum of his ancestors. Syed Shah Hasan Quaderi alias Saeb Pasha. He was the son of Syed Hidayat Ali Quaderi. He was born in the year 1310 A.H. and he was martyred in the year 1378 A.H. He was obtained the caliphate and made a pledge (Bay’ah) to his father. Upon his father’s death he was become his successor and custodian of the shrine. Once upon knowing the information about availability of tiger in the jungle so he was going there for the hunting purpose. The tigress had one cub. He tied the horse’s rope with two trees and he was standing the ground and fired on the tigress but he missed the target so the tigress was fallen on him. So he was kept away the tigress from him and shot another fire on the tigress but again he was missing the target. Due to his two shots the tigress was injured and was becoming very upset and angry and was fallen upon him and there was a severe fight between both of them and at last he was martyred on the spot immediately. On the same spot the devotees and disciples were constructed a wall there and for the visit of the wall many visitors used to go there and watch the spot of his martyrdom. This place is known as Chilla (mark) of Saeb Bada Shah and it is situated two miles away from Urs village and it is available inside of Damir tank. After his martyrdom his dead body was brought to Urs village and he was buried in the graveyard of his ancestors. Next day the tigress was found dead in the jungle. He was much interested in poetry and he was well known as calligraphist and he was completed one hand written magazine ‘Miftaul Salat’ in the year 1273 A.H. He was the son of Syed Hasan Quaderi and he was born in the year 1204 A.H. and he was died in the year 1325 A.H. In his last age he suffered due to illness of madness. Syed Shah Abdul Nabi Quaderi. He was the son of Syed Shah Hidayat Ali Quaderi. He was born in the year 1306 A.H. and he was died on 4th Rabil Thani in the year 1351 A.H. Upon his father’s death he was become the shrine custodian. He was obtained the caliphate and made a pledge (Bay’ah) to Syed Shah Wali Allah Quaderi . He was the son of Syed Shah Wali Allah Quaderi. He was born in the year 1321 A.H. and he was died on 2nd Zil Quad in the year 1398 A.H. He was obtained the caliphate and made a pledge (Bay’ah) to his maternal uncle Syed Shah Abdul Nabi Quaderi. Upon his father’s death he was become his successor and custodian of the shrine of old Gaddi (small fort). He was the son in law of Syed Abdul Nabi Quaderi and he was died without any children. Upon his death his younger brother Syed Sarwar Quaderi’s son Syed Abdul Rauf Quaderi and Syed Moin Uddin Quaderi who was his paternal uncle’s son and both of them were become the shrine custodians of old Gaddi (small fort). He was the son of Syed Abdul Nabi Quaderi. He was born in the year 1331 A.H. He was obtained the caliphate and made a pledge (Bay’ah) to Syed Shah Moin Uddin Quaderi and upon his father’s death he was he became his successor and custodian of the shrine. His grave is situated at the foot side of the sons and daughters of Hazrat Mashooq Rabbani. He died on 18th November in the year 1955 A.D.
29.Syed Shah Darwesh Mohiuddin Quaderi. He was the elder son of Syed Mustafa Quaderi. He was made a pledge (Bay’ah) to his father and Syed Shah Ali Quaderi. He was become successor and custodian of the shrine of new Gaddi (small fort) upon death of his father. He was died on 25th Jamid Thani in the year1406 A.H. corresponding to 5th February 1986 A.D. on Wednesday. His grave is situated at the foot side of Hazrat Mashooq Rabbani. Upon his death his elder son Syed Shah Hilal uddin Quaderi was become his successor and custodian of the shrine . Syed Haider Hilal uddin Quaderi. He was the son of Syed Shah Jamal Quaderi and he was the brother of Syed Shah Hasan Abdul Quader Quaderi alias Quader Shah Quaderi. His grave is situated in the Shabazpalli village of Sirsilla Taluk of Karimnagar district. Upon his father’s death he was become his successor and custodian of the shrine . He made a pledge (Bay’ah) to his father and he was obtained the caliphate from his father. He was the elder son of Syed Haider Hilal uddin Quaderi. He made a pledge (Bay’ah) to his father and he was obtained the caliphate from his father. He was the son of Syed Shah Hussain Quaderi. He made a pledge (Bay’ah) to his father and was obtained the caliphate from his father. He was the son of Syed Haider Quaderi. The details of his three sons are as follows.1. Syed Shah Haider Quaderi.2. Syed Shah Mohi uddin Quaderi. 3. Syed Shah Peer Pasha Quaderi. 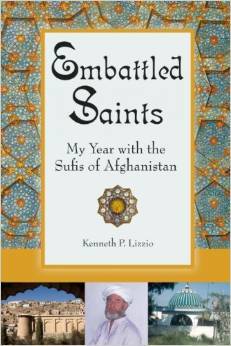 He made a pledge (Bay’ah) to Syed Shah Kali Quaderi and he was obtained the caliphate from him. He was the elder son of Syed Shah Hussain Quaderi. He was made a pledge (Bay’ah) to his father obtained the caliphate from his father. His disciples and devotees were in large number. 35.Syed Shah Mohi uddin Quaderi. He was the second son of Syed Shah Hussain Quaderi. His disciples and devotees were in large number and they belonged to Karimnagar district. His grave is situated in the Somaram village near Chilla (mark) of Hazrat Mashooq Rabbani. Syed Shah Asad Allah Quaderi. He was the son of Syed Shah Mohi uddin Quaderi. He was made a pledge (Bay’ah) to his paternal uncle Syed Shah Haider Quaderi and he was obtained caliphate from him. He was the spiritual master of Mr. Ghulam Jilani Ahmed Taban who wrote his famous book “Biography of Hazrat Mashooq Rabbani R.A.” as he was his disciple. His grave is situated on the western side at some distance of the mausoleum of Syed Shah Ghouse Moin uddin Quaderi. 37.Syed Shah Haider Wali Allah Quaderi. He belongs to the descendent of Hazrat Sheikh Abdul Quader Jilani. He was pious and great sufi personality of his time. His tomb is situated in Udgir. He was married to Kamal Unnisa alias Kammu be sahiba who was the daughter of Syed Hussain Quaderi (some other details are available in serial number 12 ). She has got her portion of the estate of the Urs Jagir village from her father’s side. He was obtained the caliphate from his father in law Syed Hussain Quaderi and also he was obtained the caliphate from his ancestors in the chain of Hazrat Mashooq Rabbani. Till now chain of the caliphate is continued in his family members. He was died on 17th Safar in the 1212 A.H. He was the son of Syed Haider Wali Allah Quaderi. He was settled down in Haweli (mansion) area in Urs village. His grave is situated on the big platform in the shrine area and the stone roof was constructed on it. He was died on 29th Jamil Awwal in the year 1262 A.H. He made a pledge (Bay’ah) to his father and was obtained the caliphate from his father. The details of his two sons are as follows. Syed Haider Quaderi. 2.Syed Mohi uddin Quaderi. He was come to the Urs village as the district collector and liked his maternal place and he settled down there. He was the elder son of Syed Karim ullah Quaderi. The details of his four sons are as follows. 2.Syed Amin uddin Ali Quaderi. His grave is situated at the foot side of the grave of Syed Karim Allah Quaderi. He was died on 21 Zil Hajj in the year 1266 A.H. He was the district collector. Syed Shah Mohi uddin Quaderi. 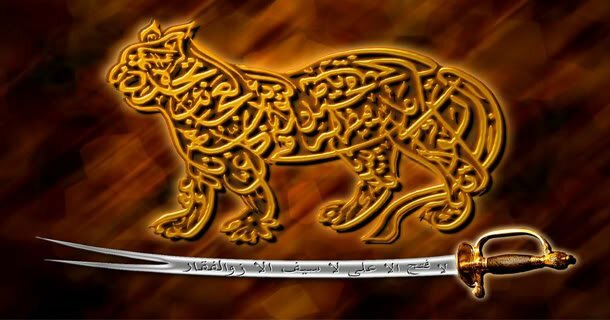 He was the second son of Syed Karim Allah Quaderi and he was died on 25th Shawal in the year 1305 A.H. He had two sons and among them one son Syed Ahmed Quaderi was well known and famous and he was the district collector and he was granted the title of Ahmed Yar Jung from Hyderabad government. The name of another son was Syed Abdul Ali Quaderi. He was the third son of Syed Haider Quaderi. He was worked as Tahsildar. He had two sons and the details of their names are as follows. 1.Syed Mustafa Quaderi. 2.Syed Ghulam Rasool Quaderi and he was died without children. He was the son of Syed Hussain Jilani. He was visited Makkah and Madina cities two times for the Hajj pilgrimage. He was died on 13th Safar in the year 1360 A.H. He was worked as Tahsildar and but soon he was left his post. The details of the names of his sons are as follows. 1.Abu Saleh Syed Ahmed Quaderi.2.Syed Quader Mohi uddin Quaderi. Abu Saleh Syed Ahmed Quaderi. He was the elder son of Syed Mustafa Quaderi. He was born on 29th Safar in the year 1324 A.H. He passed the Munshi examination from Islamia school Warangal . He made a pledge (Bay’ah) to his father in the year 1338 A.H and he was obtained the caliphate from his father. His mother’s was granddaughter of Qu’tub (highest cadre in spiritual pivot at axis) of Vellore Shah Mohi uddin Abdul Latif Quaderi. He was busy in the teaching and preaching work from the year 1338 A.H. to 1385 A.H. for a period of 47 years. He was died on16th Muherram in the year 1385 A.H. And he was buried in the graveyard of his ancestors. 44.Syed Quader Mohi uddin Quaderi. He was the second son of Syed Mustafa Quaderi. He was born on 29th Shaban in the year 1338 A.H. He was obtained the caliphate from two chains and he was obtained the caliphate upon death of his father. In his meetings always there was zikar (remembrance) of Allah and remembrance of the last prophet of Allah was available there. He was a great lover of Allah’s last prophet. He was used to take care and attention of the learned persons and high level officers who will used to visit the shrine of Hazrat Mashooq Rabbani and he used to invite them to his house. The details of his sons are as follows to whom he was granted his caliphate.1.Shah Mohi uddin Syed Abdul Latif Quaderi.2.Syed Mustafa Quaderi. He was used to organize yearly meetings in the month of Rabi Awwal in which he had the privilege of showing of Asar Sharif (relics) of Allah’s last prophet. And also he was used to organize a yearly meeting on 11th Rabi Thani in which he had the privilege of showing of Asar (relics) of Hazrat Sheikh Abdul Quader Jilani on the grand scale. He was also much interested in the monthly meeting of Hazrat Sheikh Abdul Quader Jilani on the 17th of every month. 1.‘Hayat Mahsooq Rabbani’ written by Auliya Quadri. 2.‘Hayat of Mashooq Rabbani’ by Ghulam Jilani Ahmed Taban.